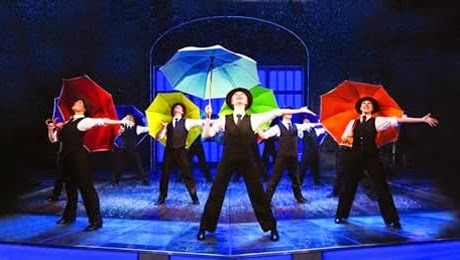 Based on the classic MGM film, Singin' in the Rain arrives at the Theatre Royal, Glasgow this August and features songs by Nacio Herb Brown and Arthur Freed including Make ‘em Laugh, Good Morning, Moses Supposes and Singin’ in the Rain. The musical tells the story of Don Lockwood, a silent movie star with everything he could want - fame, adulation and a well-publicised ‘romance’ with his co-star Lina Lamont. But Hollywood is about to change forever. There is rumour in the studio of a new kind of film, where the actors actually talk…and sing...and dance. Can Don and the uniquely voiced Lina make the transition and will chorus girl Kathy Selden fulfil her dream of stardom and capture Don’s heart along the way? 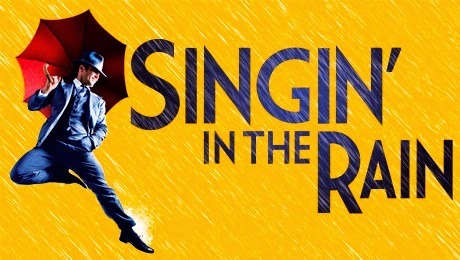 Singin' in the Rain will star stage and screen leading man Maxwell Caulfield as studio boss ‘R.F. Simpson’, Coronation Street favourite Vicky Binns as starlet ‘Lina Lamont’, James Leeceas ‘Don Lockwood’, Amy Ellen Richardson as ‘Kathy Selden’ and Stephane Anelli as ‘Cosmo Brown’. The show uses half a mile of flexible pipe work, a 10 tonne water tank and a water system that creates a downpour from above and flooding from below the stage, ‘raining’ (and recycling) over 12,000 litres of downpour per performance so audiences should expect to get a little wet!